C.W. 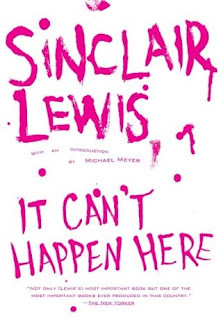 and I were talking … I finally persuaded him to read It Can’t Happen Here by Sinclair Lewis. 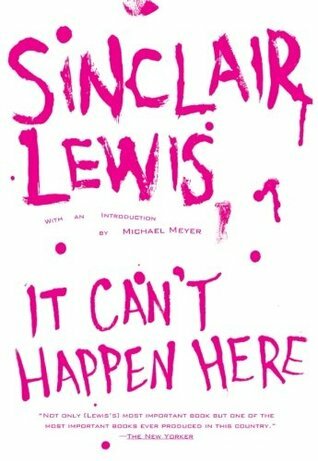 Written in 1935, some described it at the time as a semi-satirical political novel. Dormant for years, it is now on the "best seller" list again. It describes a mythical takeover of America by a former senator, then president, named Berzelius “Buzz” Windrip, who turns our country into a fascist state. The takeover is viewed by the reactions of small-town newspaper Doremus Jessup, who is ultimately imprisoned when truthful journalists become enemies of the state. “Another good one,” I said.